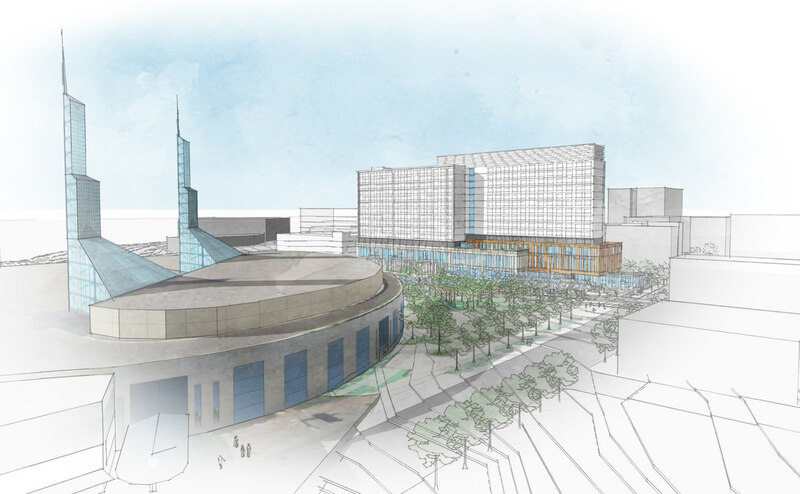 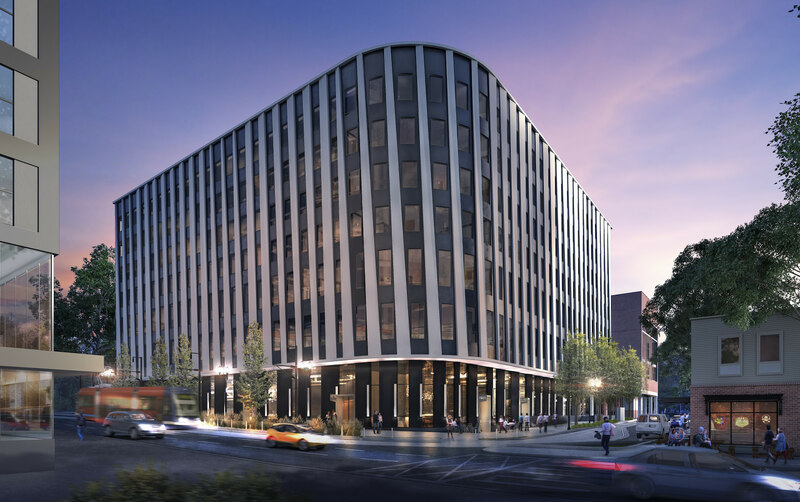 The development team behind the proposed Hyatt Regency hotel at the Oregon Convention Center have submitted initial drawings to the Design Commission for the purpose of receiving Design Advice. 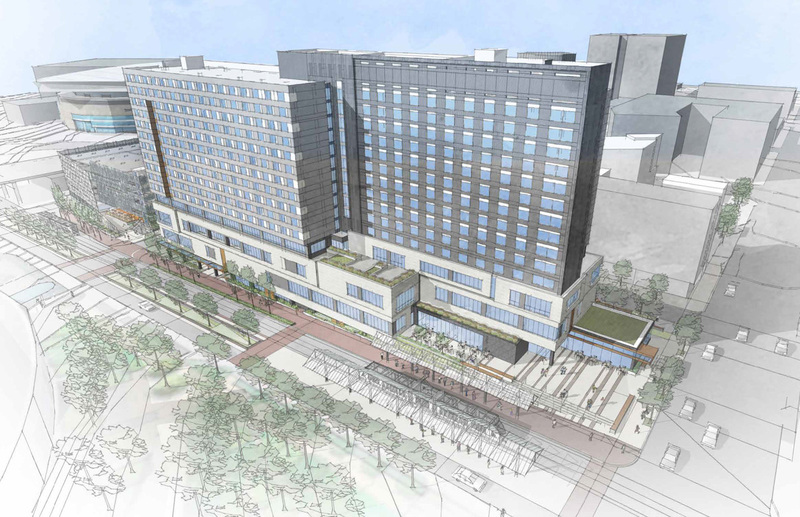 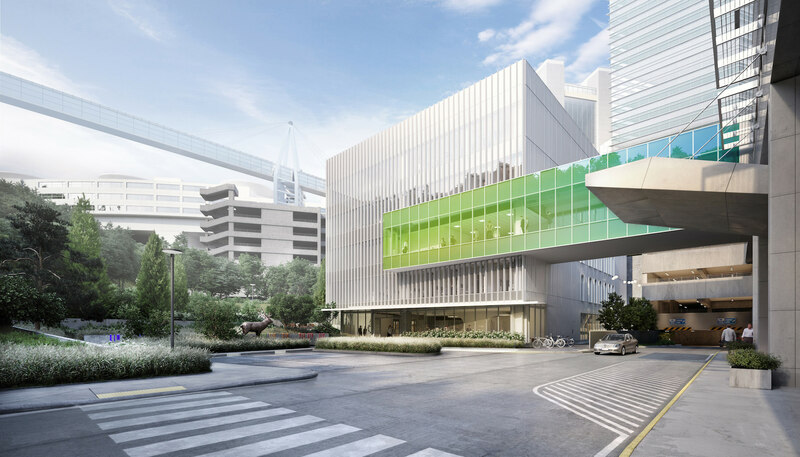 The drawings by ESG Architects, Ankrom Moisan Architects and Mayer Reed Landscape Architecture focus on the street level engagement and public spaces of the proposed hotel. 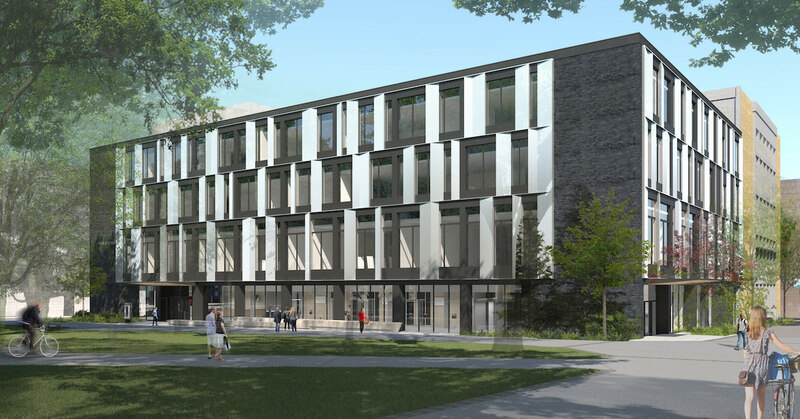 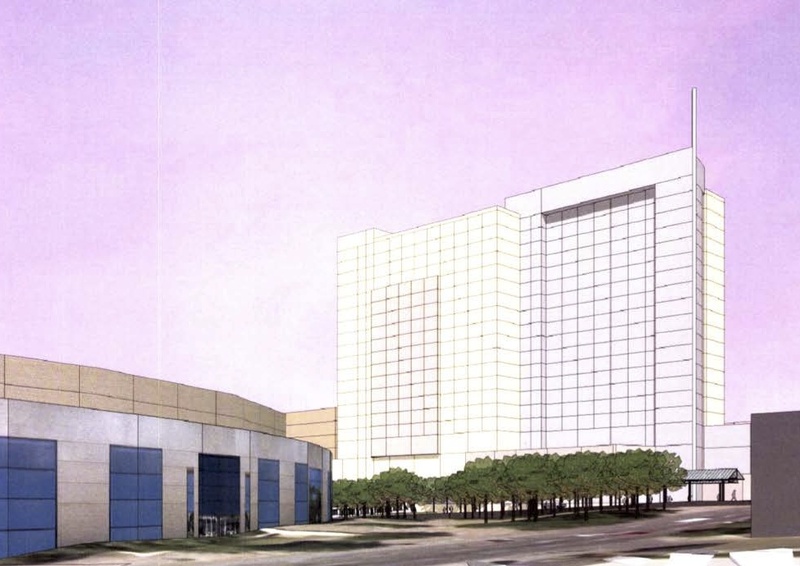 The massing, height and facade articulation of the room tower is purposefully left vague in the drawing package, and will presumably be addressed at a future hearing. 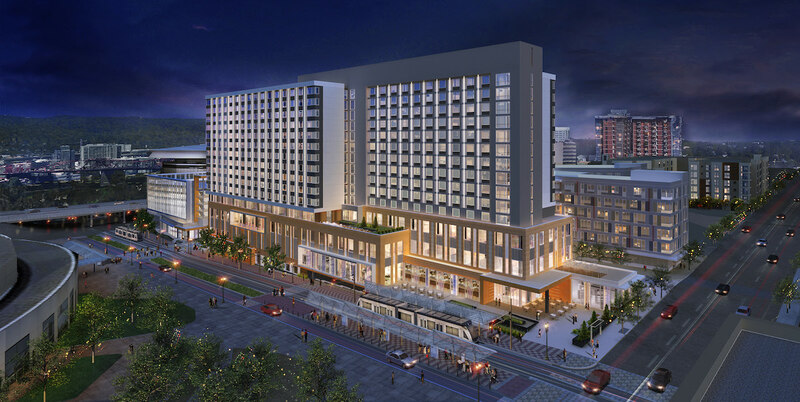 The $212 million, 600-room Convention Center hotel is being part financed by $60 million of Metro issued bonds, which will be backed by lodging taxes paid by hotel guests. 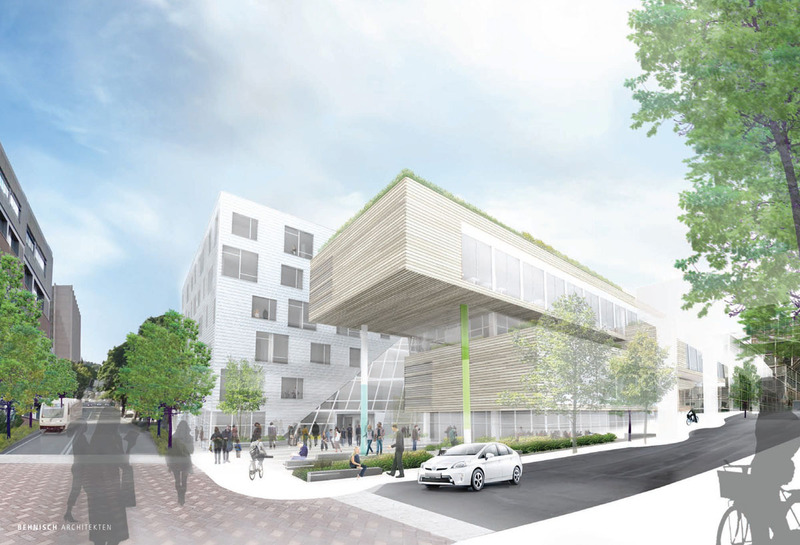 In 2012 Metro chose Minneapolis based Mortenson as the developer for the project. 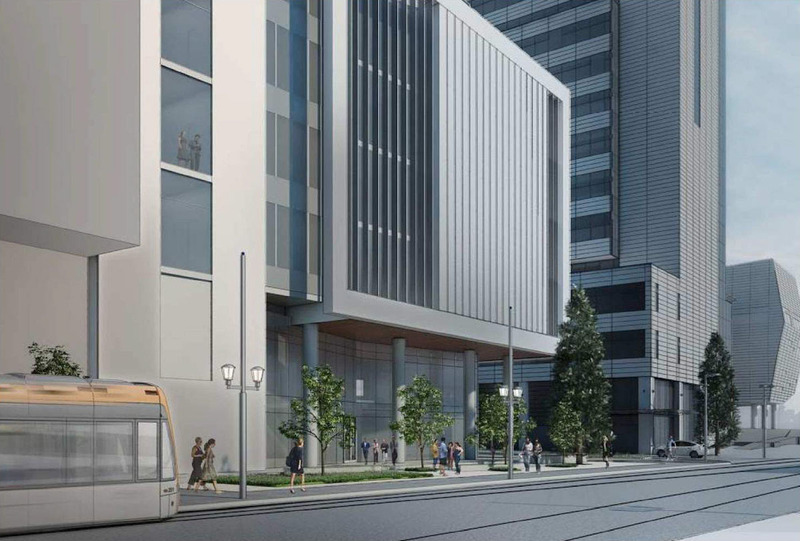 Mortenson are also behind the Downtown AC by Marriott Hotel.